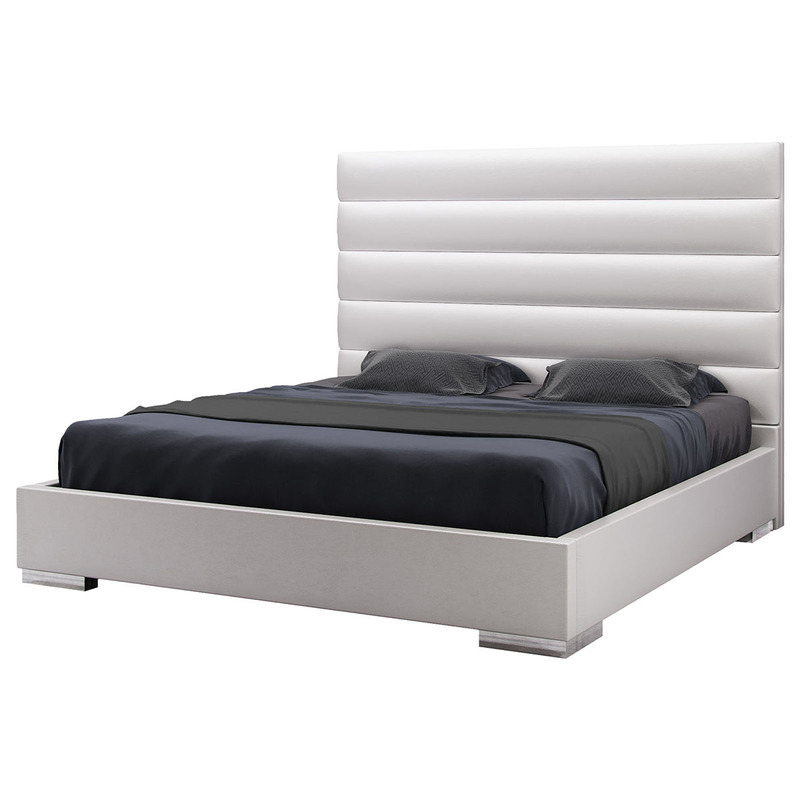 With its five-foot high, panel-tufted headboard atop a sleek, low profile frame, the Prince Bed by Modloft becomes the most prominent object in your updated bedroom. 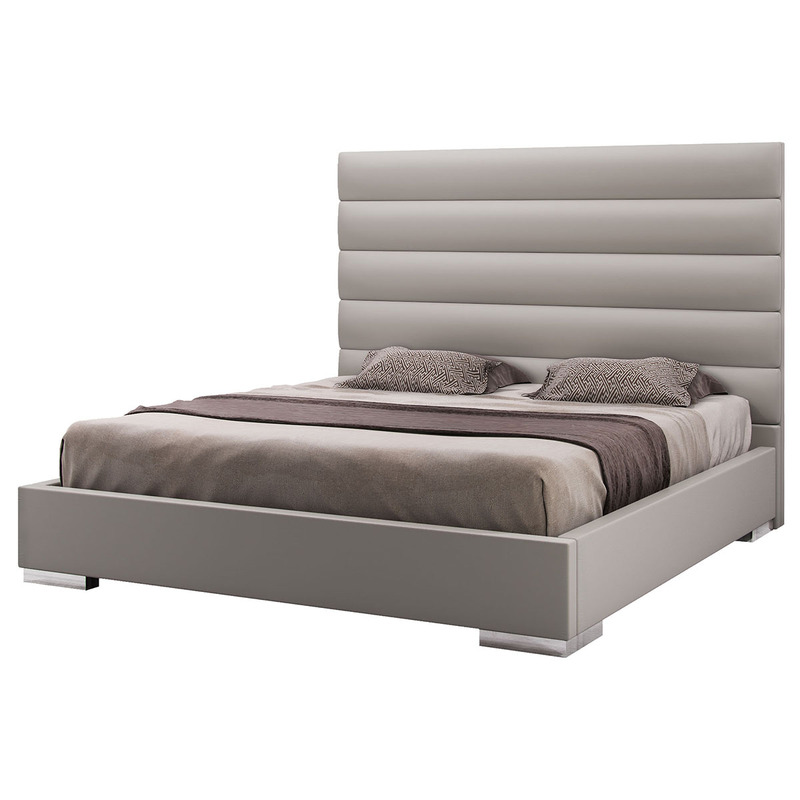 The modern bed's elegance continues with smooth Eco leather upholstery on the heaboard, side rails, and the foot of the bed. As for support, the updated bed frame enhances comfort and eliminates the need for a box spring with a solid pine-slat base built to ensure durability and surpassing comfort. Though grand in design, the Prince Bed features trim proportions to add grandeur to even smaller spaces. Make the frame your own by choosing the leather color that best complements your d�cor and the bed size that best accommodates your space. Can I order this bed without the headboard? 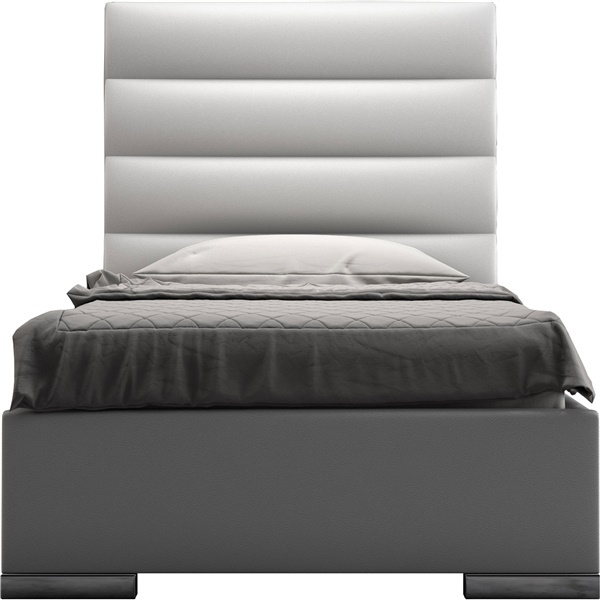 Thank you for your interest in the Prince Bed by Modloft! We currently only sell the Prince Bed as a complete set at this time, and not the headboards only. Everything is all connected together and unable to separate from each other for that purpose. You could have someone physically do that for you afterwards but that would also void the warranty in that case. can i get a swatch of the warm grey and slate? Yes, we certainly can send you swatches. Please request the swatch by using our contact us form and provide your address and we will have it sent out to you.